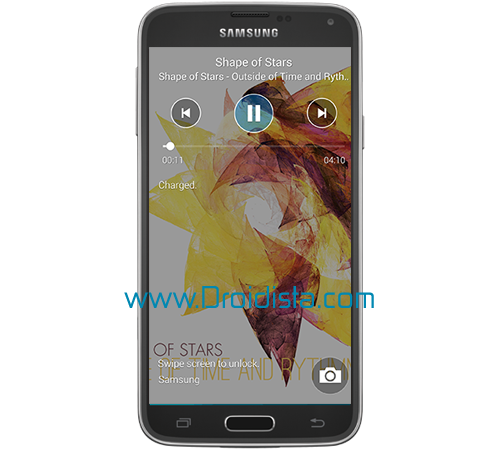 Basically, from the lock screen of your Samsung Galaxy S5, you can access music controls allowing you to play, pause, stop, skip next and play previous track, and view recent notifications from the Notification Panel. You could also add Camera icon so you can take photos without unlocking your phone. To lock your phone, press the Power/Lock button. The screen turns off when you do so, and to view the lock screen, just press the Power/Lock key again. 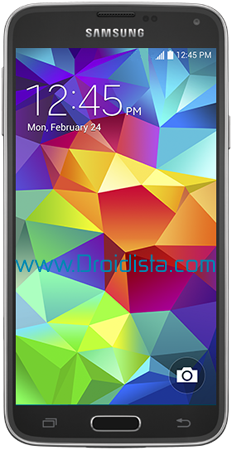 This is how the Samsung Galaxy S5 Lock Screen looks like with both the Date and Camera enabled. 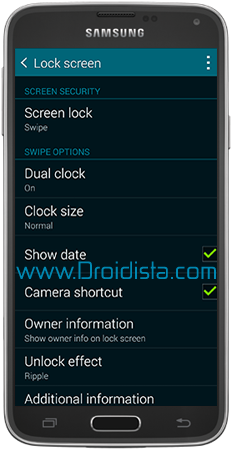 This is how the Samsung Galaxy S5 Lock Screen Settings screen looks like. Touch the Camera shortcut option to tick the checkbox. After doing this, you will see the Camera icon from the lock screen. You can take photos without unlocking your phone or unlock the screen to launch the Camera app directly. Dual clock - to turn the Dual clock feature, touch it and then slide the switch from Off to On. If turned on, your phone will display dual clocks on the lock screen, you can set one of the clocks to be your home city clock and the other as local clock. 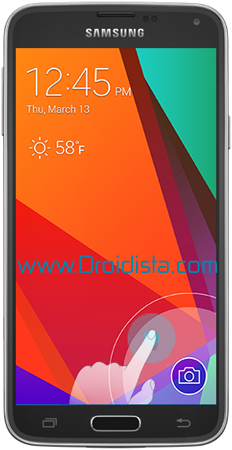 Clock size - you can set the dimensions or size you want the clock to appear on the lock screen. Pattern type - this is made available if you've enabled the Pattern lock; it will let you choose the design of the dots used to unlock your phone. Show date - checking the box would display date when the phone is locked. Camera shortcut - it would enable Camera access from the lock screen and would display the camera icon when the phone is locked. Owner information - you can add any information you want but it will serve its purpose well if you added your contact information on the lock screen in case the phone got lost. You need to touch Owner information and tick the checkbox next to Show owner info on lock screen then tap OK.
Unlock effect - this is only available if you enabled the Swipe lock. You can choose the effect to use and the options are: None, Popping colors, Stone skipping, Watercolor, and Ripple. Additional information - there are two options you can display on the lock screen: Weather and Pedometer. Simply touch Additional information and check the boxes next to these options. Make pattern visible - for pattern lock only; you can uncheck this option to lessen the chance that someone would see your pattern when you unlock your phone. Vibration feedback - it's still for the pattern lock. If enabled, the phone would vibrate if you entered an incorrect pattern. Secured lock time - this is for security locks only. You can set time for the device to lock the device. Help text - this will show help text on the lock screen. That's it folks! I hope this post could somehow help you. Thanks for reading.